Coventry City Council (CCC) was seeking ways of making significant savings while preserving frontline services, and at the same time reshaping their relationship with citizens. Within Special Education Needs (SEN) Transport in Coventry there was a history of overspending – in 2010/11 the projection was for an overspend of £782k on a total budget of £4.45m. Opportunities for reducing spend by further driving down ‘supply side’ costs had already been largely exhausted, leaving the department with few ideas as to how to make the necessary savings. "I think particularly the work between… IMPOWER, the SEN team, the decision makers, the transport team, the strategic leadership… there really was a proper team approach and everyone was engaged and committed to it." IMPOWER set out to radically change Coventry’s approach to SEN home-to-school (HTS) transport and the relationships with parents and carers. The programme sought to understand parents better, communicate with them more effectively, re-emphasise their responsibilities and incentivise them to become more involved in HTS travel. In an initial review, IMPOWER was able to identify significant opportunities for savings by understanding the values of service users and staff, and testing ideas for service transformation with them. These were largely ‘demand side’ opportunities, designed to reduce the needs of SEN children while offering parents choice in how to meet the transport needs of their children. CCC requested the continued support of IMPOWER for the implementation of those elements not within the existing skills set of the Council, or which required further external expertise and insight. In order to effectively manage demand and reduce the associated cost, IMPOWER adopted a two-stranded approach. The team worked with staff to develop innovative travel options, while engaging with and structuring contact with service users to ensure take-up. Parents who accepted a personal travel budget were able to make savings by negotiating better deals locally, joint-commissioning and spending money more imaginatively. CCC made a saving as they were able to offer PTBs at a lower cost that council-provided transport. Suitable children were identified for ITT to allow them to travel to school independently. This had crucial benefits to the chid in terms of developing independence and empowerment. This was a significantly lower cost option to CCC. Using insight into service user behaviour and a behavioural insight tool, Values Modes, IMPOWER was able to profile the motivations and attitudes of half of the parent cohort. IMPOWER worked closely with staff from the Council and key partners, such as schools, to present a consistent, structured message to the parent cohort. As a result, CCC was able to manage unrealistic expectations of parents, re-emphasise their responsibilities and incentivise them to become more involved in home-to-school transport. projected £1m+ cashable savings over three years (=13% budget). embedding knowledge and capacity in the Council for future demand management projects. The success of this project was based on the ability of IMPOWER to present a solid business case identifying demand-based savings opportunities and successfully carry out the implementation stage of this project. Effective skills and knowledge transfer was an important part of the project. Frontline staff were trained to engage with parents in a different way, using the behavioural insight that IMPOWER brought. 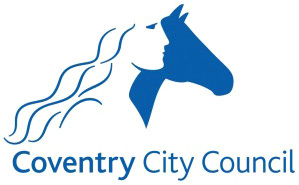 By working closely with senior staff from Coventry CC, IMPOWER were able to transfer an understanding of behavioural insight tools and demand management to the Council. the head teacher, Coventry, said. IMPOWER worked closely with Coventry CC and partners at all stages of this project, producing communication material together, utilising the staff’s knowledge of the children and parents and understanding the requirements of the project sponsors. Understanding the attitudes and motivations of service users, and using these to reshape the relationship between them and the Council was a key element of the project. IMPOWER was able to bring new insight and innovative ideas to an area where traditional savings opportunities had already been exploited.